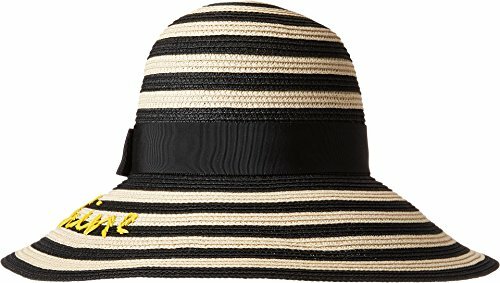 Live your est life in the Kate Spade New York® Hey Sunshin Sunhat. Classic style with striped design. Wide hat band with "Hey Sunshine" embroidery.